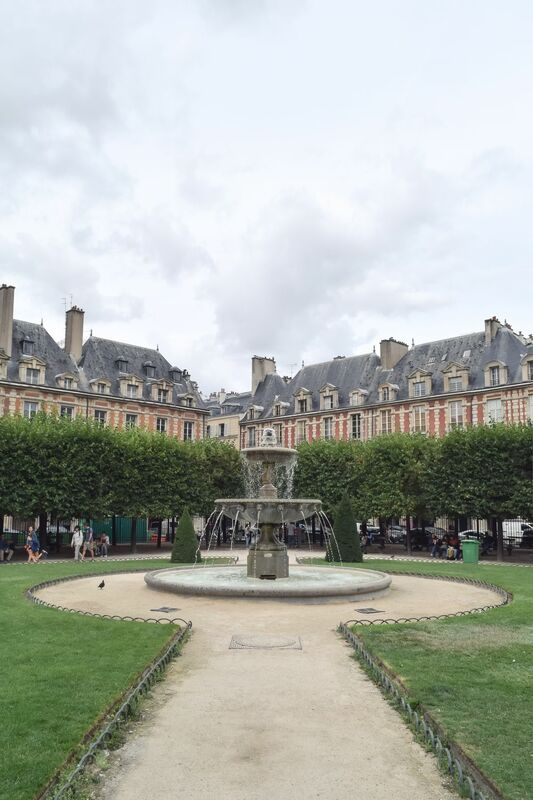 One of my earliest memories from Paris is of the Place des Vosges, the oldest planned square in Paris, located in the Marais. 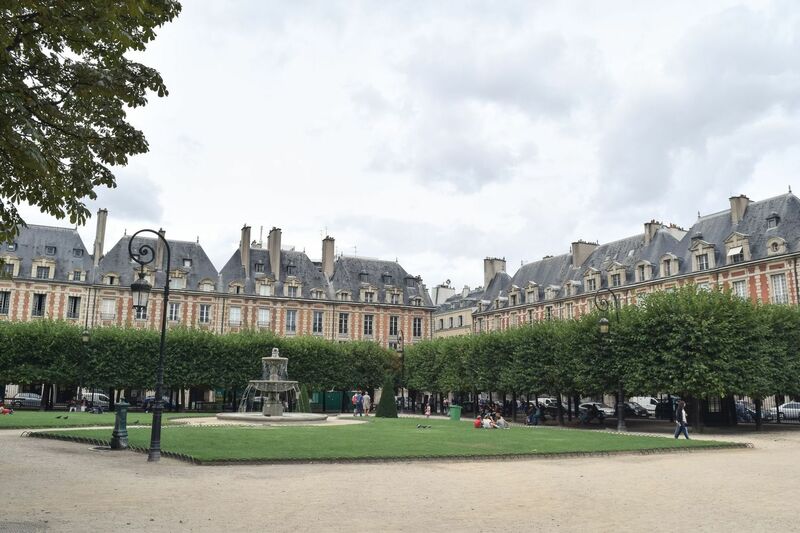 With a grassy park in the center, and covered passageways lining the perimeter, there’s always a fun place to explore or just relax in this plaza. 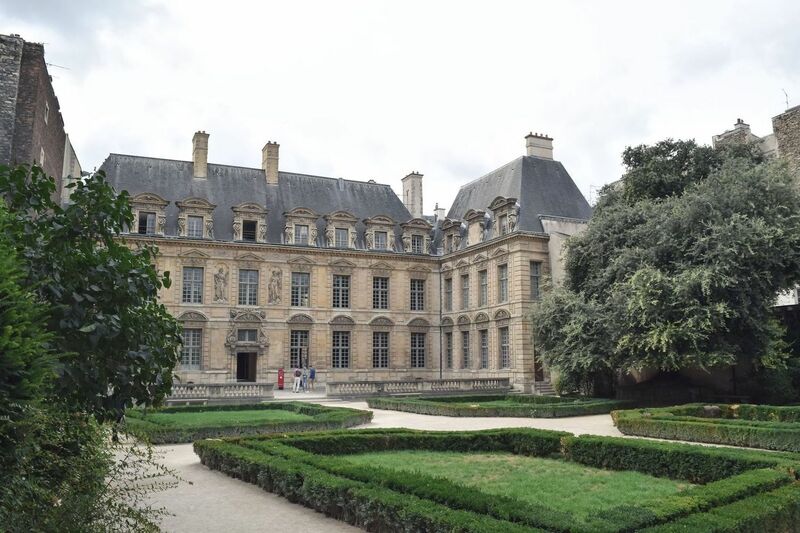 The square was built upon commission by Henri IV between 1605 and 1612. 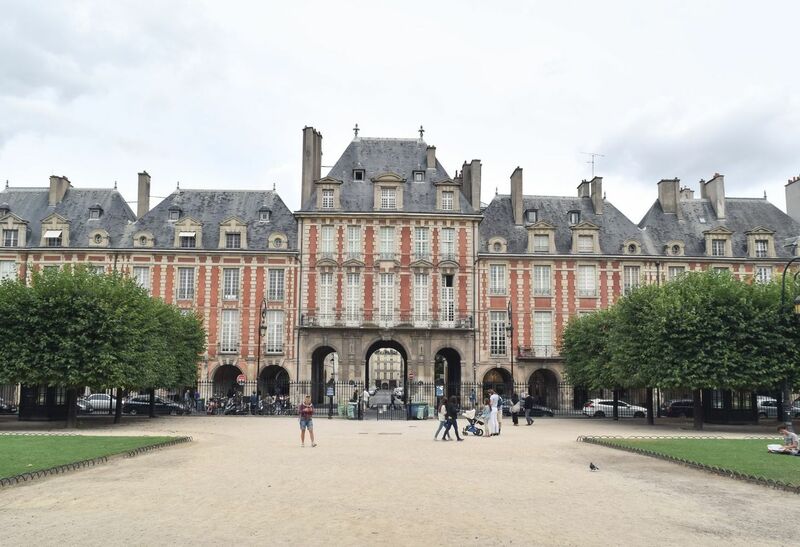 The Place des Vosges officially opened to celebrate Louis XIII’s engagement to Anne of Austria. 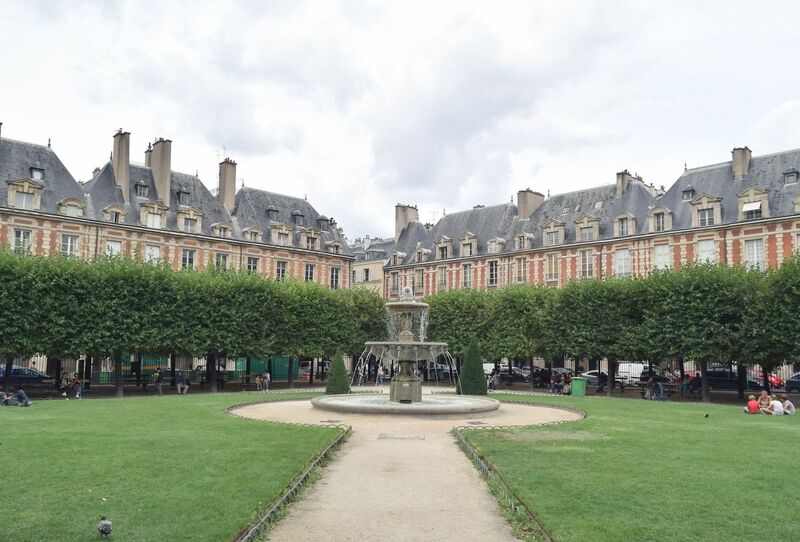 Back then it was called “Place Royale.” The square served as a prime example of the residential squares that would pop up throughout Europe. 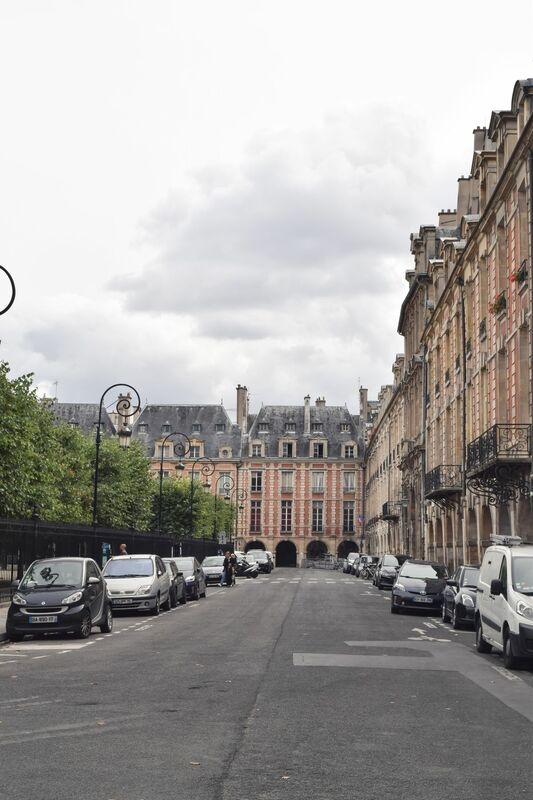 Place des Vosges is characterized by its uniform and repetitive design: pinkish red bricks with vertical strips of gray stone, under vaulted gray rooftops. 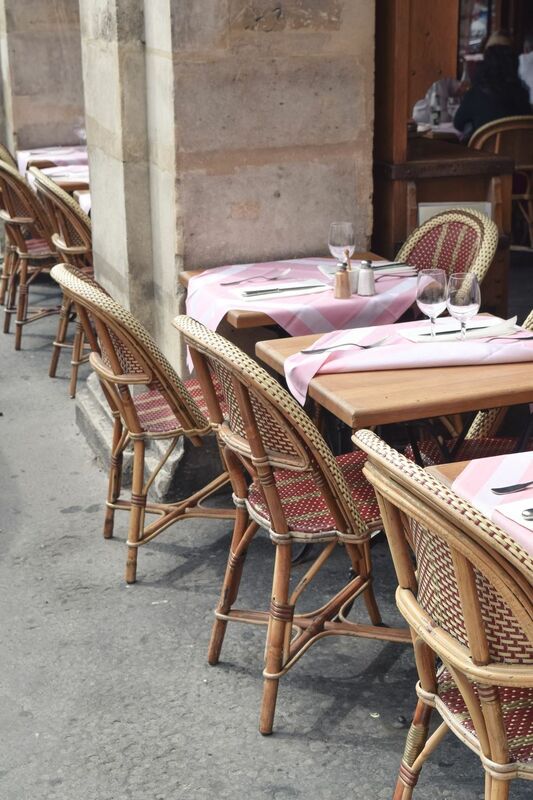 During the 17th and 18th centuries, it was very fashionable and expensive to live in the Place des Vosges. 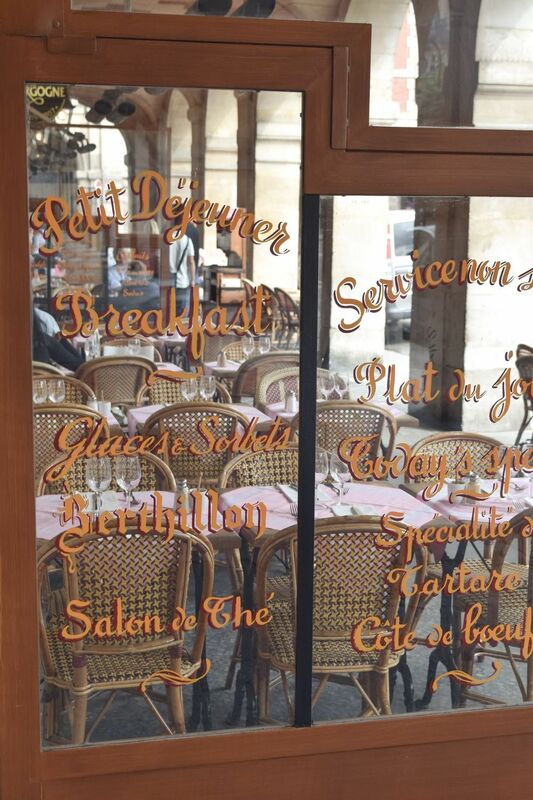 Celebrated French writer Victor Hugo lived at number 6 from 1832 to 1848, which today houses a museum honoring his work. 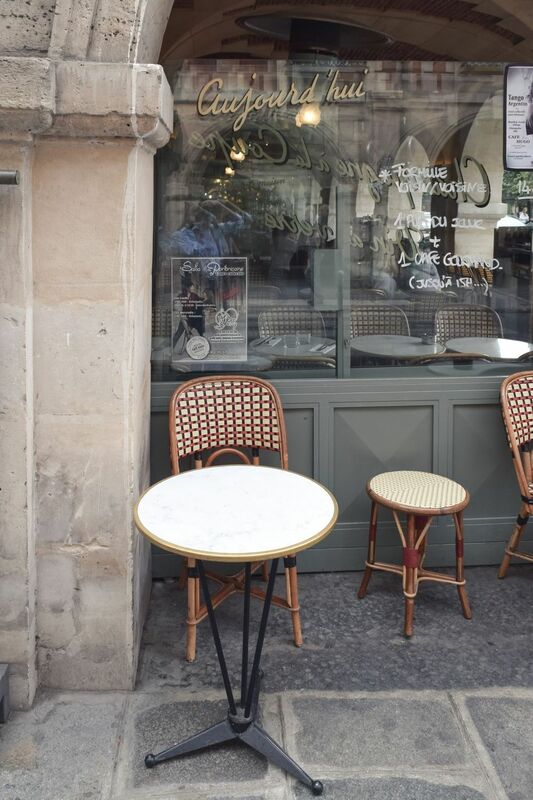 Today, many art galleries and restaurants line the plaza. 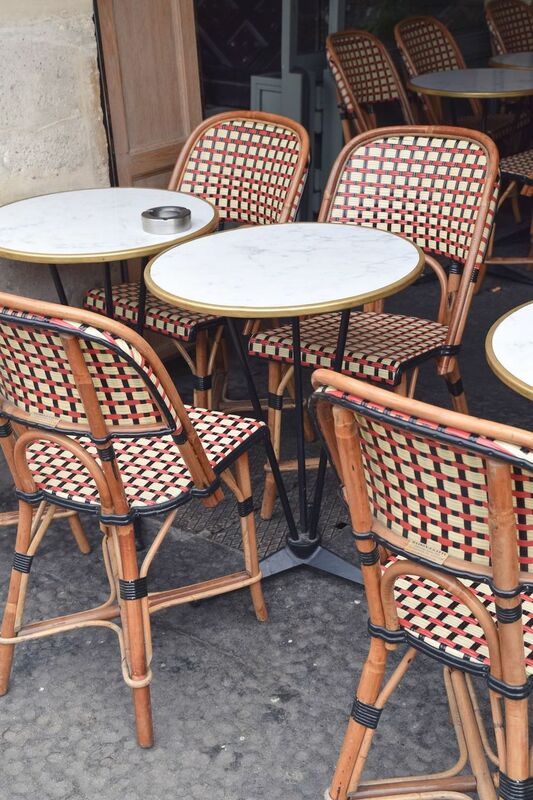 You can sip tea and order macarons at Carette, or have a fabulously Parisian lunch at Café Hugo.